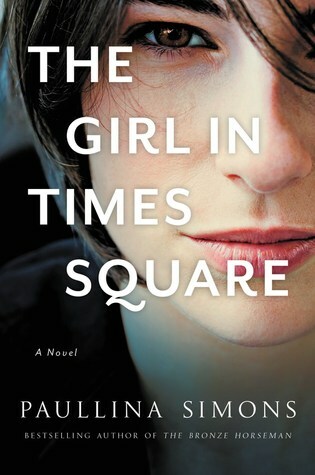 The Girl in Times Square is my first Paullina Simmons book but it certainly won't be my last. This is a roller coaster ride of a book with love, mystery, health problems and family issues and lots of surprises for the reader. Once you got started in this book, you won't want to put it down. Lily is just drifting through life. She has been in college for over 4 years but doesn't have enough credits to graduate, she has friends and parties but can't seem to find a boyfriend. She lives in a small flat that she shares with her best friend Amy - until one day Amy doesn't come home and no one knows where she has disappeared to. The main detective on the case, Spencer, has problems of his own and is less than nice to Lily. Just when things can't get any worse, Lily wins the lottery which creates a myriad of different problems for her. But no matter what is going on in her life, Amy is still missing and Lily's world continues to be full of problems. From a master storyteller comes a new heart-wrenching, magnificent and un-putdownable novel. This is the odyssey of two young women, Lily and Amy, roommates and friends on the verge of the rest of their lives. Paullina Simons is an internationally bestselling author whose novels include Bellagrand and The Bronze Horseman was born in Leningrad in 1963. As a child, she immigrated to Queens, New York, and attended colleges in Long Island. Then she moved to England and attended Essex University, before returning to America. She lives in New York with her husband and children.